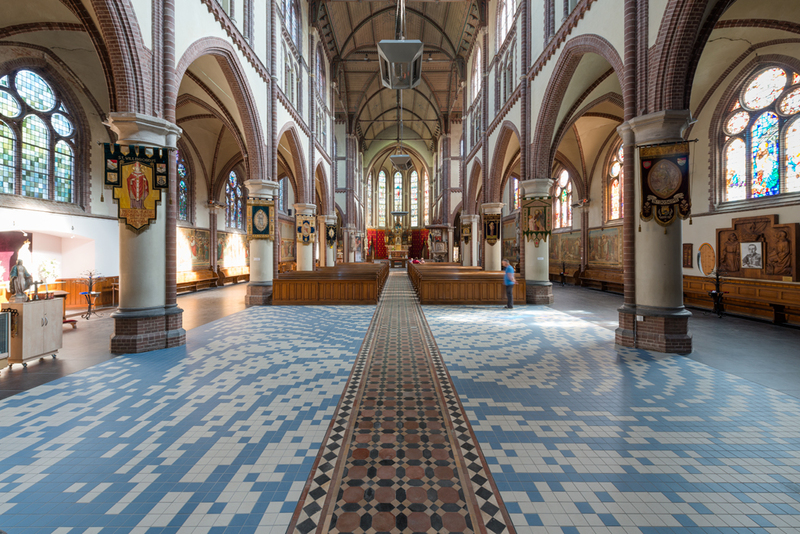 The restoration of the Roman-Catholic church St. Bonifatius on Oostzijde in Zaandam started in 2015. The floor has only partially been restored to its original state. 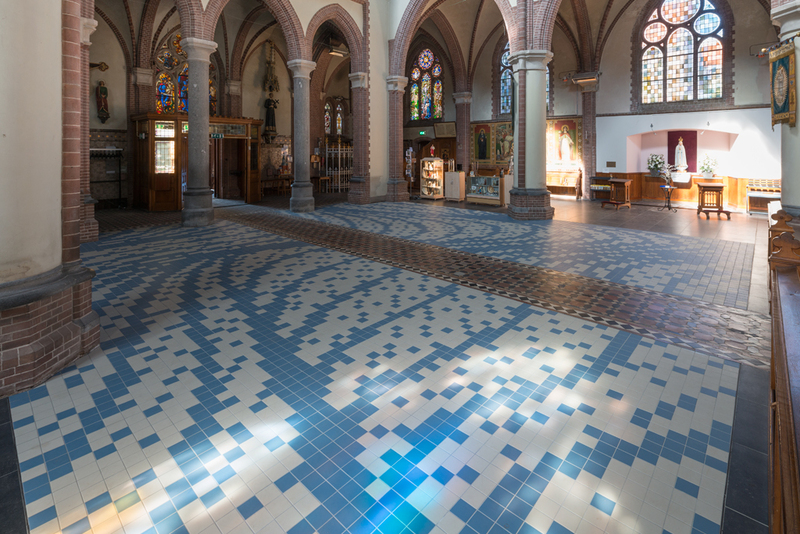 Through a new layout and a clear marking of different floor surfaces, the church wanted in addition to its function as a Zaandam parish church, also literally create space for other uses. 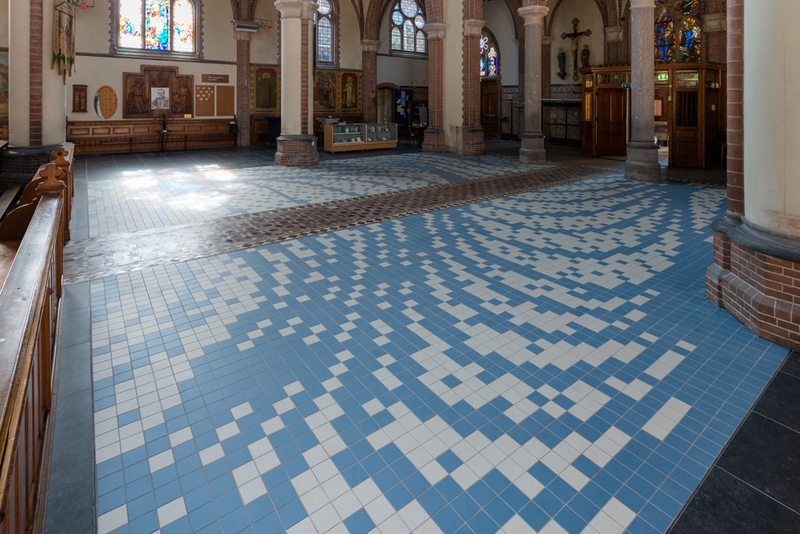 In the nave in the entrance area of the church building, a square has been realized for welcoming events, meetings and activities. Commissioned by the municipality of Zaanstad, graphic designer Hansje van Halem created the design for this square. The designer was on the one hand faced with the challenge of adding something entirely new and, on the other hand, of harmonizing her contemporary, computer technology based visual language with the austere neo-Gothic stylistic idiom and the spatial atmosphere of the church. 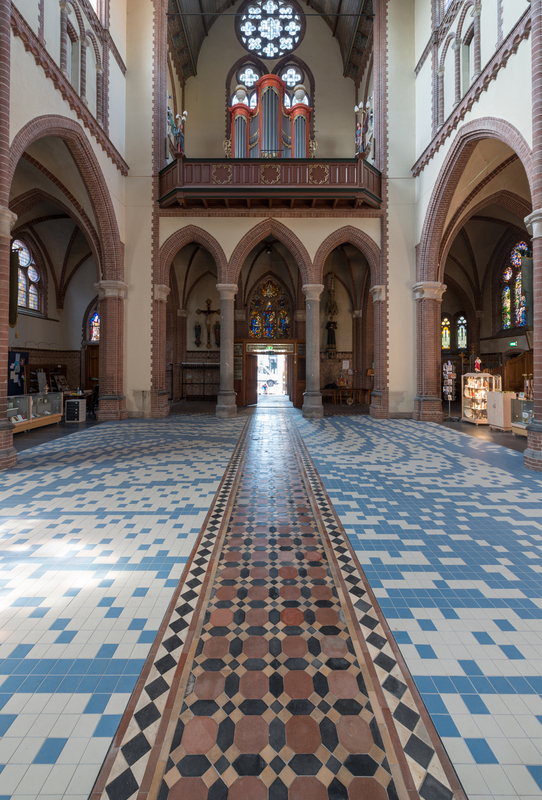 The final design became an undulating interplay of lines in a soft shade of blue, rigorously intersected by the aisle which had been restored to its original neo-Gothic state. 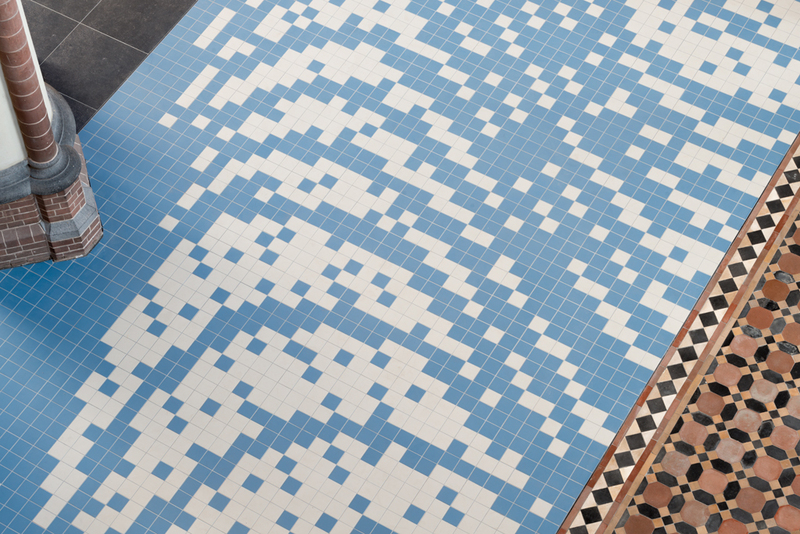 The line pattern has been carried out in a geometric grid of square tiles. 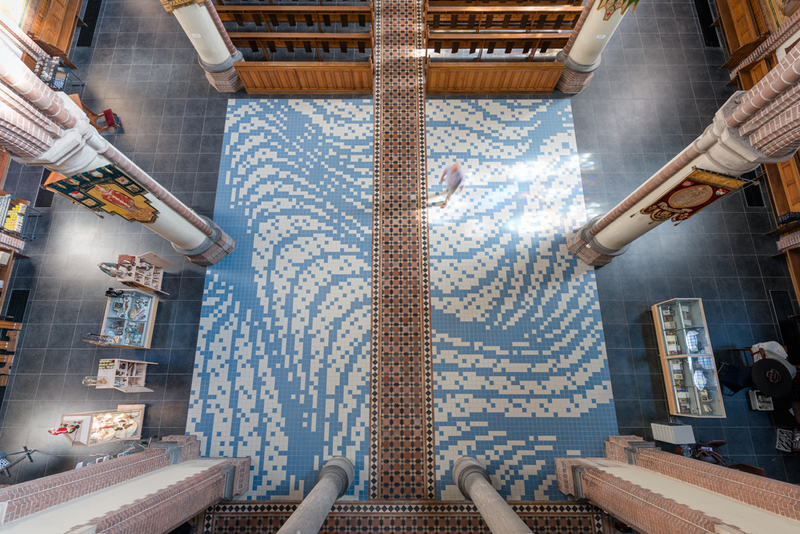 The artwork undeniably evokes the association with water, the river Zaan, baptismal water, water of life etc.